Themes: surf lifesaving; lifeguards; rescue; family; friendship; goal setting; community engagement; teamwork; caring for the environment. Trent Maxwell is better known as ‘Maxi’ the Lifeguard from the TV series ‘Bondi Rescue’. 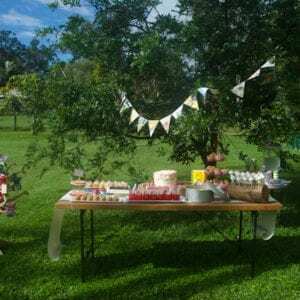 Maxi began his professional lifeguard career at the sweet age of 16 years and has become a one of one of ‘Bondi Rescue’s’ most popular characters. 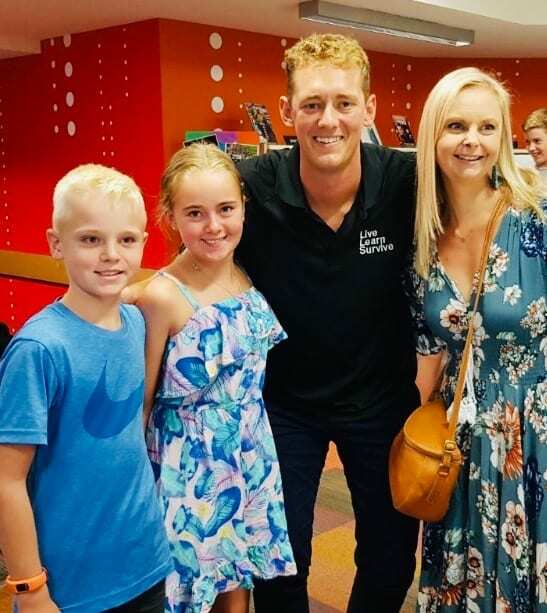 Maxwell is now a firefighter for NSW Fire and Rescue as well as part-time lifeguard and has gained an amazing global profile. I take my hat off to this young gentleman who is an ambassador for Tourism Australia, Headspace and Royal Life Saving Society United Kingdom. 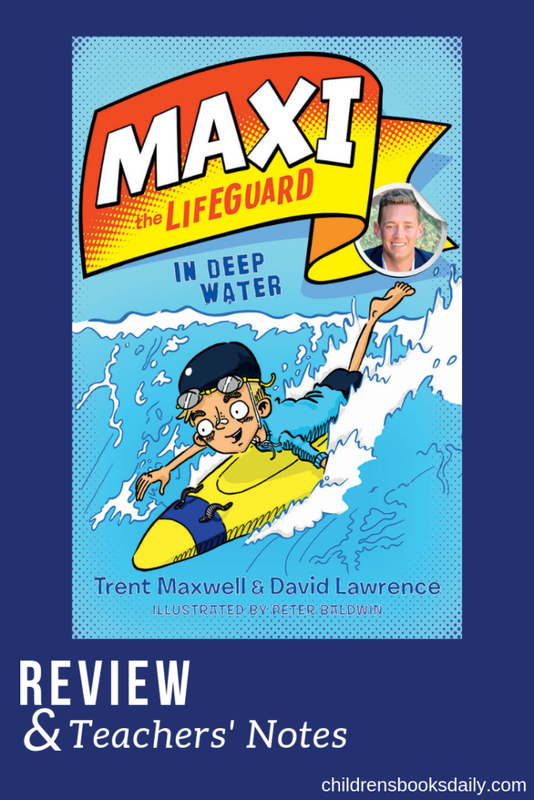 And now, Maxwell is an author of the series ‘Maxi the Lifeguard’. Co-author of the series, David Lawrence, is a comedy writer and comedian. Lawrence has built on stories from Maxwell’s childhood as a surf lifesaver and his deep love of the ocean to create the three books in the series ‘Maxi the Lifeguard: In Deep Water’, ‘The Stormy Protest’ and ‘Beach Battle’. 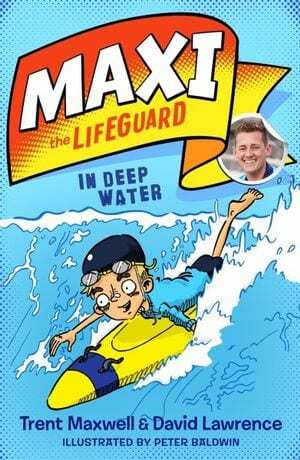 Each book is narrated by Maxi the Lifeguard and follows his adventures as a ‘nipper’ at Buckler Surf Life Saving Club along with his friends Felix and Rachel. What I loved about this series is that each book has moral dilemmas whether it be dealing with a bully, online bullying or simply being a kind friend. Other themes encased in the series are family and friendships, goal setting, community engagement, caring for the environment and teamwork. Amongst the warm and fuzzies there is also an adventure packed story which Maxwell’s voice permeates through. When chatting to Trent Maxwell recently he told me he was determined that the books passed on several moral messages and surf safety education. Each book deals with a safety issue: what to do in a rip current; how you can get and how to deal with heat stroke; DRSABCD (Danger, Response, Send for help, Airway, Breathing, CPR, Defibrilation). Maxwell spoke about how the books mimicked real life for him as a child. Some of the stories in the book were pretty close to what happened to him as a child living on Sydney’s northern beaches. One particular character in the series, Grandpa Bill (my favourite character!) was a tribute to his own grandfather and based on him. Maxi the Lifeguard Event: Mel Kroeger and her keen readers! 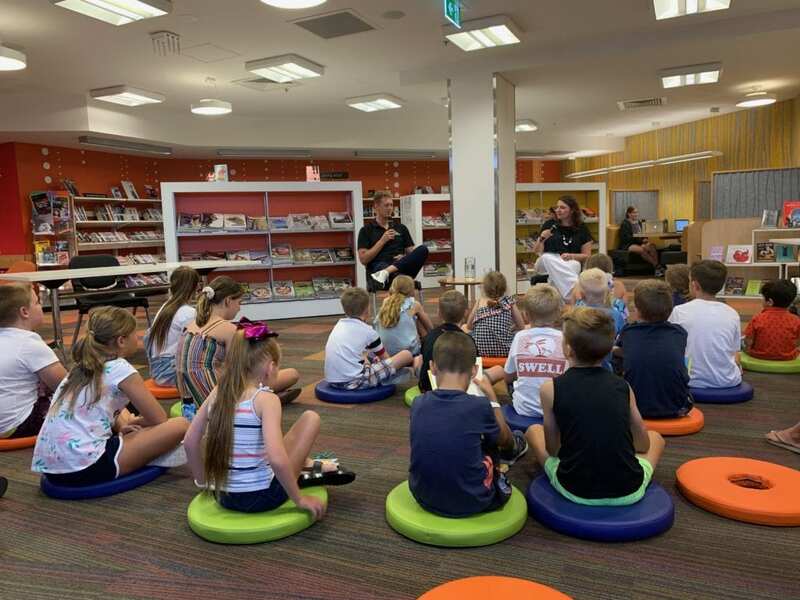 It was an absolute pleasure to listen to Maxwell chat to a room full of children at another wonderful Brisbane City Council Library Meet the Author event during the school holidays. He kept the room entertained with stories of near fatal rescues and pulling pranks on his mates and colleagues. Maxwell asked plenty of questions of the audience and kept them enchanted the whole way along. When asked if there will be more in the series Maxwell responded with “Maybe”… I truly hope so because they are great books which my children and I have LOVED reading. 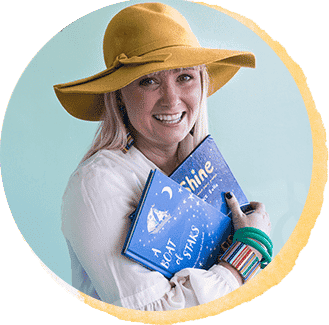 Teachers’ Notes prepared by teacher Mel Kroeger for Children’s Books Daily in context with the Australian Curriculum. Discuss with the class the TV series ‘Bondi Rescue’. Who knows the Bondi Lifeguard ‘Maxi’? 3. Discuss what a rip current is. The book has an underlying message about rip currents and how to survive one. There is more information in the back of the book about this. On page 3, ‘Maxi went red’ – did that actually happen? What does going red mean? Josh calls Maxi an idiot and makes fun of him. What is this saying about Josh’s character? Directly after this the author has called Josh the ‘school bully’ – by using this language are we able to have a clear idea as to how Josh is portrayed? Was it fair for Josh to make fun of Maxi? Why? Why not? Rachel tells Josh to ‘Shut Up’ – what does this tell us about Rachel? Is she a friend of Maxi’s or Josh’s? How do you know? What is it telling us about her character? On page 10, the adjective Maxi uses to describe how he feels about the open water is ‘petrified’ – what does this mean? Maxi describes his stomach as ‘twisted in knots’ – can this happen or is it a figure of speech? And what is it actually telling us? On page 11 and 12 Grandpa Bill is introduced and many words describe him. What are they? What type of person do you think Grandpa Bill is? At the end of Chapter 2, Sergeant Jolly is introduced. What words are used to describe him and help us to construct his character? In this chapter Maxi reflects upon the first time he met Felix and dealing with Josh. What did Josh do to Felix and Maxi? Did Maxi deal with the situation well? Could have the consequences turned out differently if Maxi hadn’t caught the ball? Was it a fair competition? 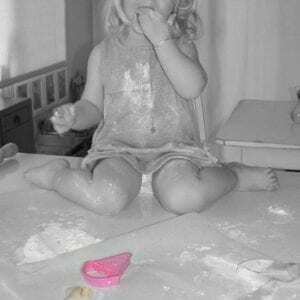 What would you have done in this situation? During this chapter, Rachel and Josh say hurtful words to each other. Why do they do this? Could Rachel have dealt with the situation differently? If so, how? On page 41, Josh says something to Maxi. What does it mean? Is it a nice comment or a nasty one? If we did not know the term ‘nanna’, and because the comment came from Josh, could we suspect it wasn’t a nice thing to say? Why so? Maxi says he ‘had never felt so humiliated in all of his life’. What does ‘humiliated’ mean? And why does Maxi feel this way? At the end of the chapter Maxi mentions that he is feeling ‘nervous’ about the race. What does ‘nervous’ mean and why would Maxi feel like that? Is ‘nervous’ a feeling or something you can see? Prior to Maxi’s presentation and when presenting it, certain words or phrases are used to describe how he feels. What are they? Maxi’s board is stolen. Who do you think stole it? What happened in the book to make you think that Josh took it? How has Josh’s character been portrayed throughout the book? And how has this perception of him make us believe that he did steal it? On page 117, Josh begins to ‘boast’ to the crowd. What does ‘boast’ mean? Is it a good thing or bad thing to boast? Or can it be both? How can boasting hurt other people and change people’s perception of you? What does Maxi do in this chapter to help Felix? How does this impact him winning the race? If Maxi had left Felix and won the race, he would have been well on his way to win the prize money for his Club, but this could have meant that Felix may have possibly become very sick or worse. Did Maxi choose the right thing to do? Why? What would you have done in this situation? What do you think Josh would have done in the situation? On pages 134 and 135, Josh says to Maxi ‘Watch and learn’, ‘It’s in the bag’. What does he mean by these? What is Josh trying to do? Do you think Maxi deserved to win with Rachel? Why? Did you want Josh to win? Why/why not? How has the author portrayed the characters for us to think this way? Write about a moral dilemma you have been in before and how you dealt with it. 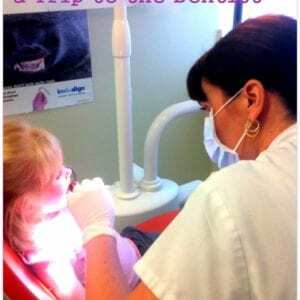 Would you have changed how you dealt with it? Write about one of the moral dilemmas in the book and say why it was good or bad and what lesson was learnt from it. Just for fun – photocopy the word search in the back of the book for students to do. Get students to create their own word search using words from the book.